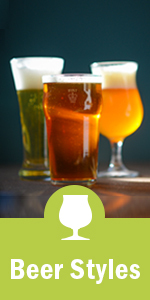 Did you know Due South Brewing Company is veteran owned and operated? Did you know the brewery works with veterans on a daily basis at our local distributor, Brown Distributing? 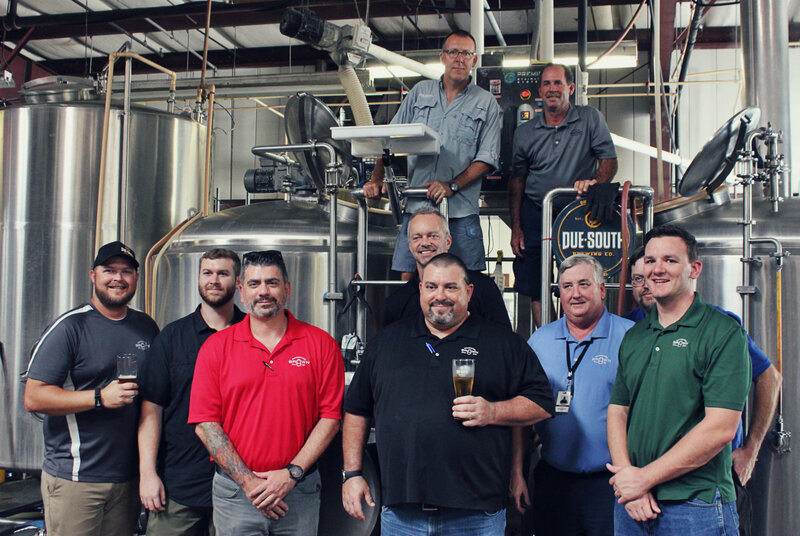 With Veterans Day coming up soon on November 11th, Boynton Beach’s Due South Brewing Company worked together with members of their distributor’s team who are veterans on October 17th to craft an incredible beer that showcases a unique blend of hops that were selected by veterans across the United States! This beer is a Brut IPA (a dry champagne-like beer style) called ‘Land, Sea, and Air’, a nod to the branches of the United States military. It was brewed with late additions of the 2018 Veterans Blend from Yakima Chief Hops and will be released in the brewery’s taproom on November 8th, and will be headed into distribution through Brown Distributing. According to Yakima Chief, this hop blend is “hand-selected by a group of veteran-owned breweries from across the US, representing multiple branches of the US Armed Forces. The blend is comprised of five different Pacific Northwest-grown varieties, providing a beautiful mix of tropical, citrus, and herbal aromas.” Those five hops are Cashmere, Centennial, Ekuanot (HBC 366), Mosaic (HBC 369), and Simcoe (YCR 14). In addition to being a great selection of hops, $3 per pound of hops sold will go to the Semper Fi Fund, which is dedicated to providing urgently needed resources and support for post 9/11 combat wounded, critically ill and catastrophically injured members of the United States Armed Forces and their families. 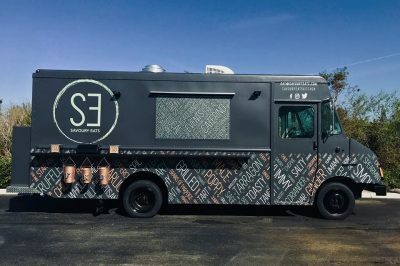 “Throughout the year we support our friends that have served in the military but on Veteran’s Day we wanted to do something special,” said Mike Halker, owner of Due South Brewing and former US Army EOD technician with the 61st EOD out of Ft. Sill, OK.
Due South Brewing Company will be bringing in Savoury Eats as its permanent food option at its Boynton Beach taproom.